It's hard to migrate away from football this week, and our Sportsman truly exhibited the characteristics of greatness in a key individual matchup and contest. 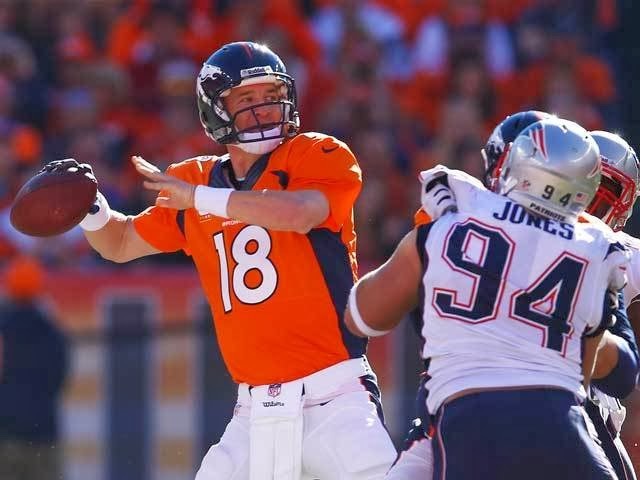 The Denver Broncos Peyton Manning dissected a New England Patriots defense to the tune of 32-43 for 400 yards with 2 TD, methodically keeping the ball away from his rival Tom Brady for over 35 minutes of play. And his Denver Broncos advanced to the Super Bowl by an easy 26-16 margin. It could have been worse if they needed more points, but they largely played keep away in the fourth quarter, settling for long, time-consuming drives and field goals. Peyton Manning becomes the second athlete to be awarded this honor two times (LeBron James is the other). I cannot think of two more dominant athletes of our era to earn it. Congratulations Peyton, you are the Longhorndave Sportsman of the Week!